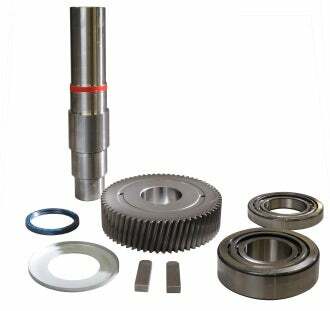 These kits contain all of the spare parts and accessories necessary to replace critical components in a gear unit such as a shaft or a gearwheel. In April, this innovative concept from HIT services will also be presented visually and fully explained at the Maintenance Antwerp and Maintenance Next Rotterdam trade fairs. Consequently, the user’s purchasing department will most likely have to contact several vendors to secure the various parts. From there, they have to request and compare quotes, prepare orders and start up the internal logistics to ensure that everything is delivered in good time. This is quite a cost-intensive and time-intensive procedure. HIT’s efforts at attaining sustainable partnerships, in which ‘thinking together with the customer’ is an underlying theme, it now offers all-in-one spare kits. These complete spare parts packages are available for all of the HIT product ranges. The benefits available to end users are countless, in particular they will experience better control of the total cost of ownership of their installed drives and the total package price for their spare part(s) will be cheaper, thanks to the all-in-one and one-stop-shop principles. In addition, the customer is guaranteed the correct parts (OEM certified original parts). This in turn will ensure an extension to the life of the drives, as well as making traceability straightforward. Finally, the spare parts packages are also covered by the one-year HIT guarantee terms. Visit the company site for further information. Image: HIT releases new all-in-one spare kits. Photo:courtesy of Hansen Industrial Transmission.